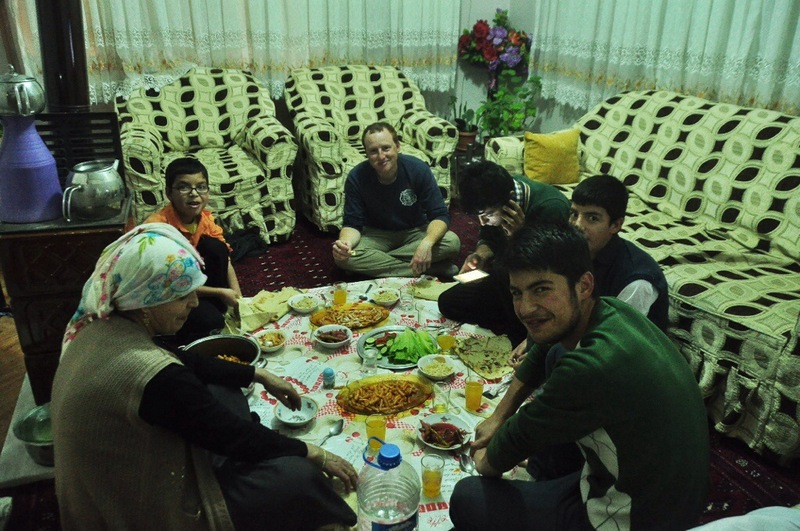 One of our favorite aspects of staying with a family in Van was all of the wonderful homemade Turkish food it enabled us to try. Every meal was communal, meaning that everyone ate from the various dishes set out on a large tablecloth on the floor. There was always plenty of bread – a staple in any Turks diet – that we used as a spoon to eat dips, soups, and salads. I absolutely loved this communal set up without individual plates because I could keep eating or stop eating whenever I pleased instead of filling my plate too full and then over eating to finish it, something I’m really good at. It was also sort of fun having everyone sharing gathered around on the floor sharing all of the dishes since it felt a lot more intimate than being all spread out at a table. I’ve made Kevin promise me that we can still occasionally eat like this when we get home to Oregon. He in turn has decided we should get a wood fire stove so I can make bread and such like they do here… Who says you can’t keep traveling (at least through food) once you go back home? Dinner! One night we had a bean and tomato soup along with chicken, rice, and a salad, while another night we ate a creamy rich potato and cheese soup along with some deliciously flavorful noodles with yogurt on top, and a salad. For breakfast we had a variety of different things such as honey (straight off the comb), delicious cheese that is particular to this city, white homemade butter, olives, tomatoes and cucumbers, and Kevin’s favorite; a sort of paste made from ground sunflower seeds and sugar. 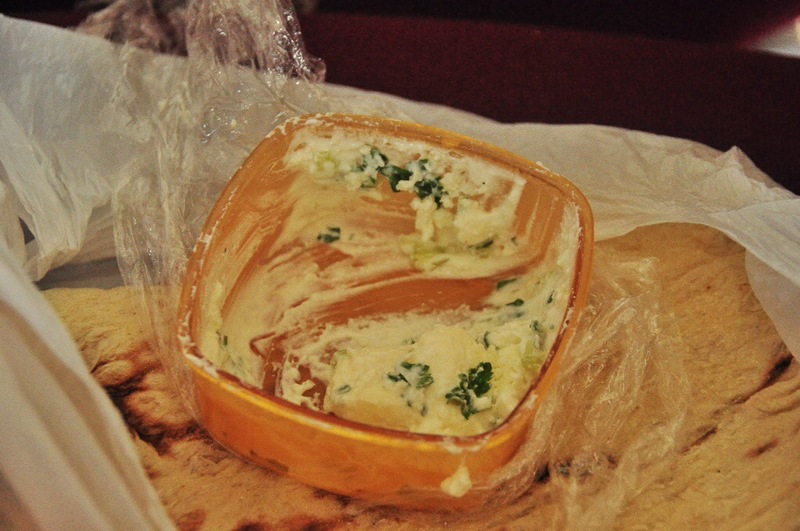 Here is one of the dips made of yogurt, butter, and herbs. 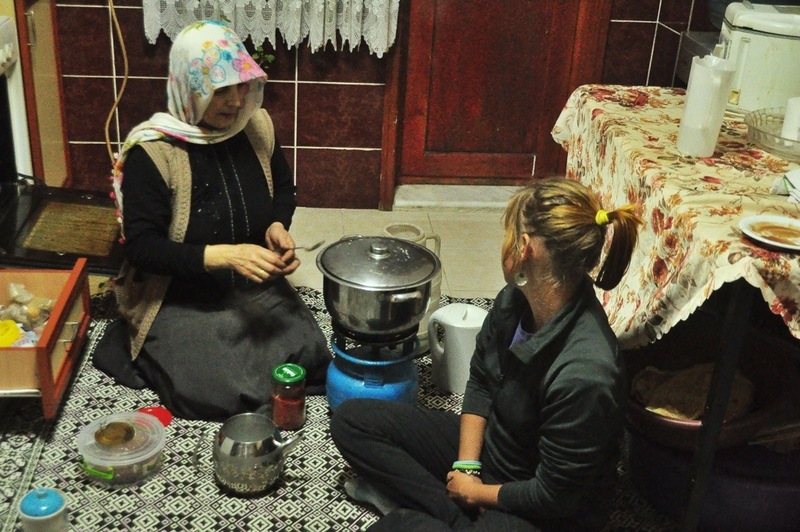 If you have been following us throughout Turkey you already know how important tea is, and this family was no exception. 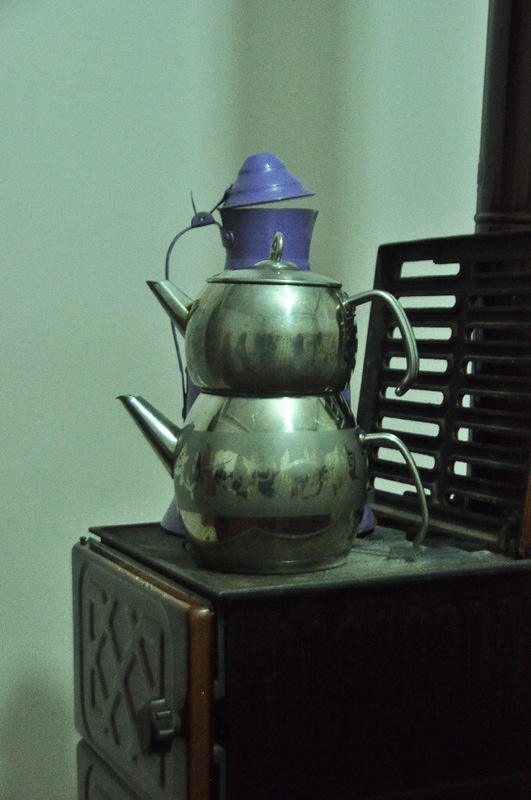 We drank multiple glasses of tea throughout the day and after every meal. Here is the bread which we really liked which the mother makes. It’s huge and very thin, and everyone just tears off pieces to eat along with the meal. 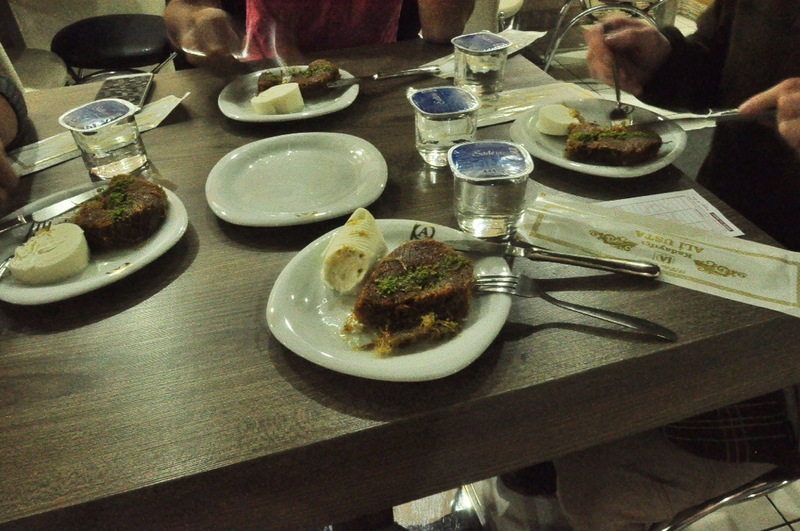 We also got to try a dessert special to the region. It was extremely sweet, made from who knows what (with fried something on time), and we ate it without ice cream which was also delicious, a lot like normal ice cream just denser. 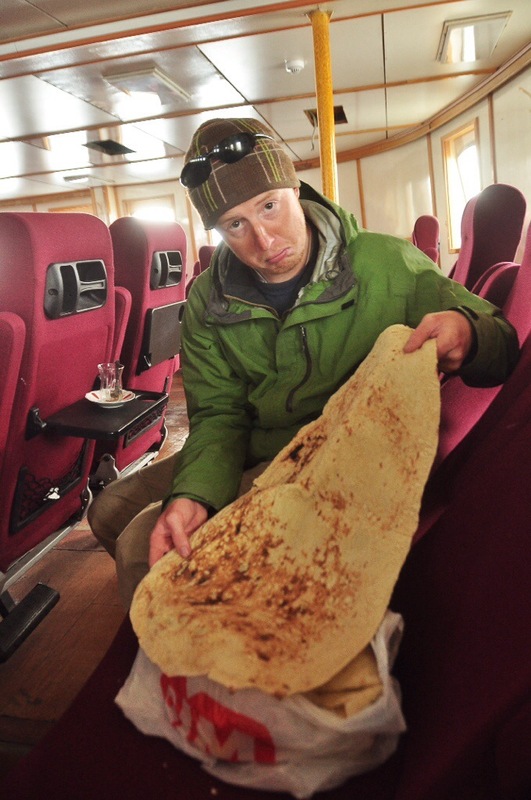 This entry was posted in Turkey and tagged cycling across turkey, Cycling around the world, eastern turkish food, food cycling turkey, traditional van food, turkish food, van special food by The Wandering Nomads. Bookmark the permalink. Is Kevin’s favorite, the seed paste and sugar, like Halva? I think that’s made with sesame seeds. Yum! Yes! Like a homemade halva! Sesame seed is what we had guessed as well. 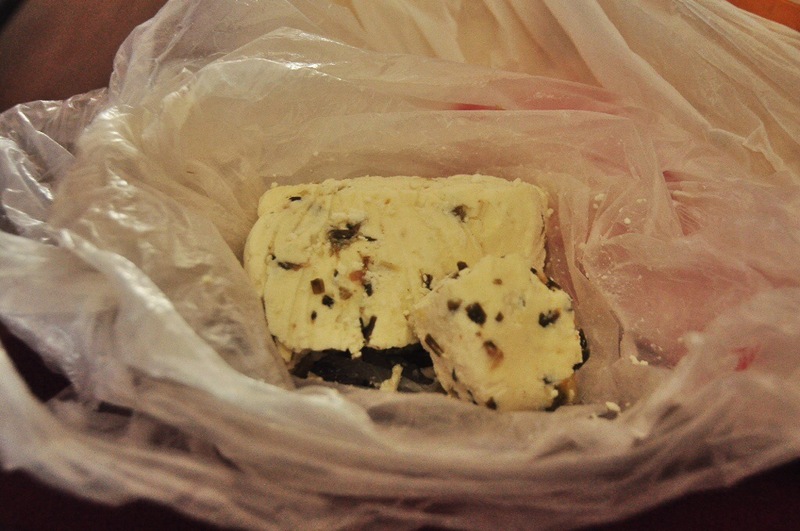 The ice cream I’ve eaten in Turkey is dense and sticky (only way I can describe it). It’s made from goat milk and not cow. That’s probably what you had.